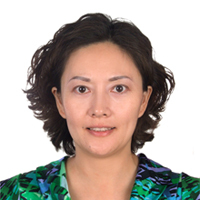 Lisa Sheng is the Director of Lotus Educational Foundation’s Beijing Office. With a background in media and broadcast news, Lisa has worked for Lotus since 2001 and is the initial founder of the homestay program. Lisa has been active with one of the most successful disaster relief organizations in East Asia as a volunteer since 2005 and regularly takes part in volunteer events in Beijing. She holds trips to senior centers and underprivileged communities around Beijing both with Lotus and outside of the organization. In her direction of the Beijing Office, Lisa upholds traditional Chinese concept of "doing good works and honoring tradition can not wait," and she continues to support traditional Chinese culture through charity work and education. Fred Mao is the technological administrator at Lotus Educational Foundation. He is mainly responsible for development of our website (both Chinese and English versions), its maintenance and operation, and the network marketing of our services. Meanwhile, he devotes himself to data management of Lotus customers, improving the business process, and standardizing the service system. His goal is to help Lotus achieve a more standardized and user-friendly website to make access to Lotus' mission and services available to everyone. Lily Sheng currently works as Homestay Director for the Lotus Educational Foundation Beijing Office. She is involved in selecting host families for our students during their stay in Beijing, and she goes to great lengths to choose the best family for each individual student. Utilizing her excellent communication skills, Lily keeps good relations and friendships with many Lotus host families and she helps resolve problems when they arise. Jizhi works as the administration officer at Lotus' Beijing Office. She assists with Implement and monitor support services, including procurement of supplies and services; transport and communications. Jizhi is also responsible for cooking lunch for Beijing office staff and overseas students.